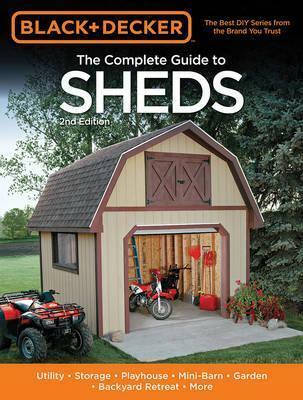 This second edition of CPi's "Complete Guide to Contemporary Sheds" picks up where the original left off. All of the most popular shed plans are still here, plus we've added several new designs to further widen the scope of the styles and plans. Because sheds with overhead doors are very popular with homeowners who drive a riding lawn mower or own a snow thrower, we feature a third mini-garage type shed. All major construction steps are shown in clear, full-color photos, accompanied by materials lists and a full set of plan drawings. For those who simply want a nice-looking outbuilding that's easy to build, we've added new utility shed plans to the mix. Combined with more than a dozen full sets of shed plans and step-by-step photos, the up-front technique material shows you how to accomplish every aspect of shed-building, from design to adding roof coverings.